Guilherme do Prado, known more commonly to Saints fans as ‘Guly’, first arrived on English shores as a loan signing from Italian side Cesena in August 2010. Being only the second Brazilian to play for Southampton after the great Charles Miller, the man credited with introducing the sport to Brazil, his unveiling was met with much optimism by fans of the South Coast club. The club hierarchy did their best to float the deal as a marquee signing, promising that Guly’s samba skills would soon be lighting up the pitches of League 1 and might provide the catalyst to propel the Saints out of the lowly depths to which they had fallen. Do Prado did indeed do enough in his five-month loan spell, scoring six goals in 17 appearances, to ensure Southampton exercised their right to purchase him that January. He would go on to have a successful season, playing a major part in promotion to the Championship. Guly would go on to score another six goals and provide seven assists the following season in the Championship, helping the Saints achieve back-to-back promotions. However, it was this season that saw Guly come under criticism from some areas of the Southampton support. Many claimed that a return of six goals was simply not good enough for a player labelled as a striker by the club’s official website; whilst others bemoaned his lack of effort and his grumpy persona on the pitch. In online forums Guly is often given as the benchmark for a player who has failed to live up to the expectations of the fans in both his performances and his attitude. In reality though, these were unfair judgements on the Brazilian. His goal return can quite simply be attributed to the fact that he was often played out of position, though to call him a striker to begin with is perhaps the problem given that he has never been an out-and-out goalscorer in the vein of Rickie Lambert. Guly has spent the majority of his time on the wing, and even in central midfield; opportunities ‘up-top’ have been limited to occasional games such as that against Manchester City on the opening day of the last campaign. Opportunities in general were lacking last season for the tall Brazilian, Southampton’s meteoric rise has seen a number of League 1 and Championship players being brought with them up the Leagues, only to fall short of making an impact in the Premier League. Guly failed to manage a single goal in 18 appearances last season in the top division, and at 31 years of age, time is running out for the Brazilian to prove he has what it takes to make it in the top flight. His hopes of earning a new contract at the club were not helped by the knee injury that has seen him miss most of the current campaign, limiting him to four appearances this season. His future may rely on whether the club choose to strengthen during the next transfer windows; a useful squad player, but not a contender for the starting line-up, he may be deemed surplus to requirements if better quality players are brought in. 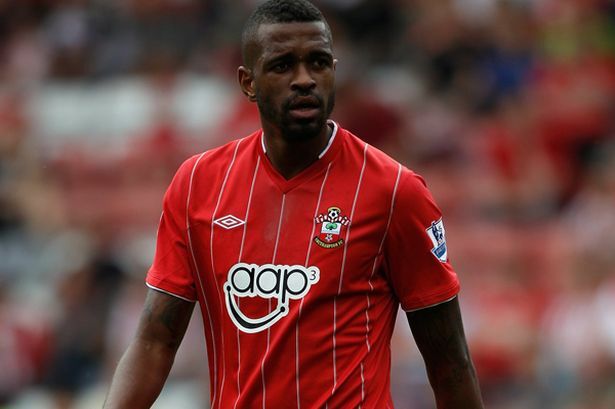 However, for those who have followed Southampton through the ‘dark times’, Guly do Prado will be remembered fondly. He may not have been quite the glamorous Brazilian signing he was promised to be, but there can be no doubt that he has played his own significant role in Southampton’s ascension back to the Premier League. This entry was posted in The Samba Series and tagged brazil, guly do prado, rickie lambert, rob orr, samba series, southampton, st mary's by The Samba Series. Bookmark the permalink.